My Tailpipe is Smoking. What's Next? My Tailpipe is Smoking. What’s Next? 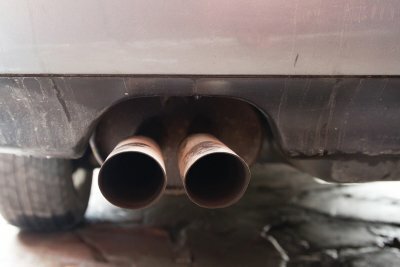 The exhaust that comes out of your car’s tailpipe can provide you with important information about what is going on with your car’s internal systems. If you start to see smoke billowing out of your tailpipe, this is a sign that your car needs immediate auto repair. A shop that offers radiator repair and other car repairs in Sacramento will have the diagnostic tools that are needed to figure out the source of your car’s worrisome smoke. Let’s take a look at what your tailpipe smoke may be telling you. In certain instances, the smoke that is coming out of your tailpipe may take on a blue hue. When your tailpipe is releasing plumes of blue smoke, the origin of the problem may lie in your vehicle’s motor oil sealing system. When oil leaks from your car’s internal seals, it will burn up as it spills onto your engine. The resulting smoke is usually bright blue in color. To remedy the problem, you may need to schedule a seal repair appointment with your mechanic. While white smoke may be less worrisome than black or blue smoke, any type of smoke coming from your tailpipe can indicate a mechanical issue in your vehicle. If water or antifreeze have cross-contaminated your car’s fuel lines, your car may start to emit large clouds of white smoke. To prevent your car from overheating, you will want to refill your coolant reservoir and bring your car to an auto repair center. Automatic transmission failure can be another source of smoke in your tailpipe. If your automatic transmission system is leaking fluid into your engine, the fluid will start to burn and create light gray smoke. To diagnose a transmission fluid leak at home, you can start by checking your transmission dipstick for signs of low or burnt fluid. A professional auto repair appointment will be necessary to remedy your transmission fluid problem.